Are Household Batteries the Future? The Tesla Powerwall is an exciting invention, a compact and rechargeable lithium-ion battery that can be mounted on the wall to power homes and small businesses. Two different sizes are available, a 7 kilowatt-hour unit and a 10 kilowatt-hour unit. 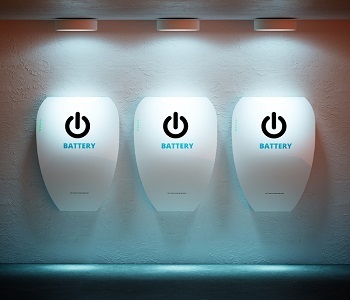 Individual Powerwall batteries can be stacked together to increase power capacity, with Tesla even introducing this product in a range of different colours. While alternative products are available from Sungevity and Sunrun Inc. among others, many of which can match the Powerwall's performance, the Tesla battery has managed to set itself apart from the crowd. Not only does it come with a vision attached, the Powerwall battery is also much cheaper than the competition. Retailing at $US3000 for the 7 Kwh version and $US3500 for the 10 Kwh version, the real revolution here is with the pricing. The current market for electricity storage is rather small, with roughly $US128 million worth of batteries installed across the United States in 2014. The vast majority of this market was for utilities, with homes accounting for just 1 percent of all sales. Tesla has big plans to shake up the industry, however, with Elon Musk saying he is “trying to change the fundamental energy infrastructure of the world.” Tesla is building a $US5 billion "gigafactory" in Nevada to enable this vision, with mass-production the key to keeping costs down. While the appeal of the Powerwall and similar products is mostly environmental, domestic batteries also provide an economic edge. Load shifting is about spreading energy use during peak periods, with households able to charge their batteries during off-peak times when the price of electricity is low and use this power at night when prices rise. This technology is especially useful for people with solar panels, with households now able to store excess power generated during peak production times and use it after dark instead of selling it back to the grid. These batteries also provide an alternative back-up source during blackouts, with households more independent during electricity outages. While the Powerwall has already attracted a raft of early adopters, it is unlikely to spur mass market uptake right away. Instead, Tesla are using this product to position themselves for the future. With electricity prices likely to keep rising and Tesla’s prices likely to reduce, the economic equation could easily shift in their favour over the next few years.